Ideal Standard, one of the leading providers of innovative bathroom solutions and a keen believer in taking practical steps to save water, is offering ground-breaking products that conserve water and promote efficiency. With building regulations now emphasising the importance of being green, water conservation has also become a vital factor in the final design of bathrooms. The fact is almost 49 per cent of water used in a home is in the bathroom, the company said. Water is a precious commodity and today, more than ever before, increasingly erratic weather patterns, population increases and changes in lifestyle have put pressure on our water supplies. Hence, it is important that we use water carefully. One outstanding example of the company's water conservation products is the Idealrain collection of shower systems and kits. The precision-designed flow engine delivers optimal spray proficiency, while the easy-to-use controls and high and low-pressure compatibility helps maintain the right rate of water flow. Its clever design helps reduce water consumption without compromising on comfortor performance. In fact, Idealrain head showers have a 12l/min flow rate only, while Idealrain handsprays go up to just 8l/min flow rate, the company said. 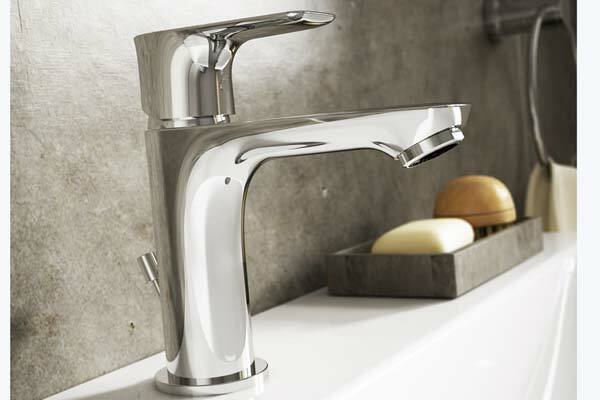 Ideal Standards prides itself in offering great ranges of mixers and taps with clever water-saving features. Connect Airmixers, known for their minimalistic and slim line interiors, combines precision engineering with a notable saving on water consumption and therefore bills.Tonic II, Tesi and Ceraflex bathroom mixers combine superior function, aesthetics and water saving characteristics, performing flawlessly and saving money in the long run. Idealspray ablution faucets function impeccably at 4l/min flow rate. Another water conservation breakthrough is Ideal Standard’s advanced AquaBlade flush technology, it said. "Unlike other flushing systems, AquaBlade is an engineered system of channels that creates a cascading wall of water, which gives optimum water flow covering every inch of the ceramic. This advanced engineering allows flushing at the extremely low level of 4,5/3l, delivering nevertheless a remarkably clean toilet bowl," the company added. "As an innovative company, Ideal Standard directs its efforts are towards meeting both consumer and environment needs. The result is a more satisfying bathroom experience for customers. The company believes that each and every one can do small changes and save water now, so we can all prevent more extreme measures needing to be taken later," it said. * Turn off the tap while brushing your teeth. Water comes out of the average faucet at around 11 litres per minute. Don’t let all that water go down the drain while you brush. * Fix your leaks. Dripping taps are hugely wasteful - losing around one full bathtub of water every 6 days. They are often simple to fix. * Cut your showers short for some serious water savings. Cutting just one minute off your shower can save 8-16 litres each time. That’s around 24,000 litres a year saved by a family of four. Idealrain handspray with 8l/min flow rate use 57 per cent less water compared to a regular handspray. * Choose efficient fixtures. Like installing Ideal Standard mixers that have only 5l/min flow rate and ultra-low-flush toilets. Also look for water-efficient dishwashers and washing machines. * Keep an eye on your bill to spot leaks. If your water bill goes up suddenly, there’s a good chance that there’s a leak somewhere. Call in a plumber to check your lines to save water --and cash! * Don’t run the dishwasher or washing machine until it’s full. Those half-loads add up to many litres of wasted water. Filling just one heavy load to the washing machine can save 5 litres each time. * If you are hand-washing dishes, make sure you use water sparingly by turning off the tap at regular intervals instead of letting it run the whole time that you’re scrubbing. * Rinse vegetables in a full sink or pan of water. * Water outdoor plants in the early morning. This way you’ll need less water, since cooler morning temperatures mean losing less water to evaporation.